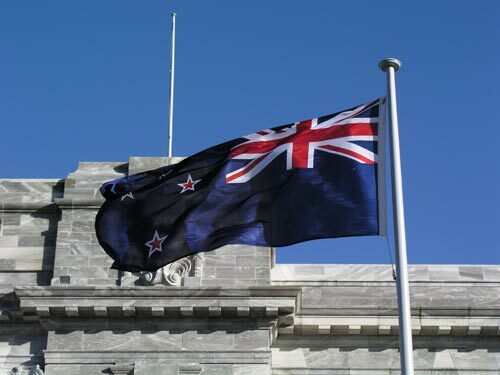 With Britain’s Union Jack in one corner, the flag still proclaims New Zealand’s origins as a British colony. The constellation of the Southern Cross is also shown as it is on the Australian flag, although in Australia’s case there are six all-white stars, while New Zealand's four stars have red centres. Some New Zealanders believe there should be a new flag which better reflects the country’s independent nationhood, but others are nostalgic about the long connection with Britain.